Hi John. Well, this is an exciting announcement. I bet you’ve been dying to tell the world about this project. 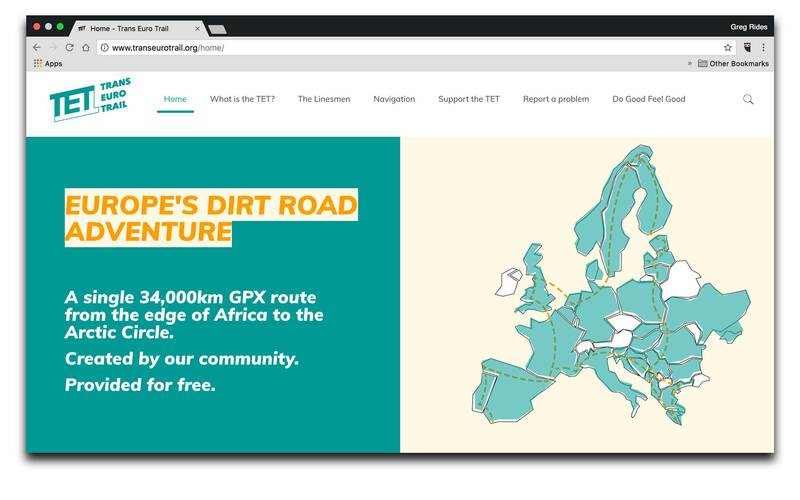 Can you start by explaining what the Trans Euro Trail is? Absolutely! In a sentence: The TET is a 34,000km legal overland route from the North Cape in Norway to Tarifa on the Straits of Gibraltar taking in 28 European countries and some of the best trails, landscapes and experiences of our continent using as little surfaced road as possible that’s been put together by the people that best know those trails – local riders. Phew! It’s an opportunity to rediscover the essence of overland motorcycle travel right here on our own doorsteps – travelling light and independent of support vehicles, interacting with locals, sleeping where we can find space for a tent, cheap accommodation or welcoming hosts, using local markets and shops for supplies, using our wits and connections we make locally to deal with problems and connecting in the way that only motorcyclists can do with our surroundings. Make no mistake, even in our sometimes busy continent, the TET does traverse very remote wilderness areas where the ability to accept and deal with any situation is critical. You’ll very often be out of mobile range and, if you can summon help, it may be a very, very long time coming. There’s nobody there to hold your hand – this is a route for the independent minded. 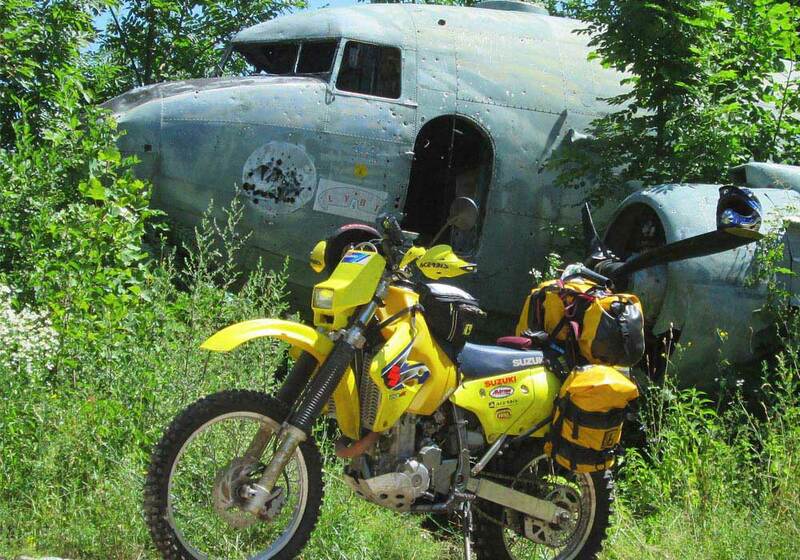 Go prepared and you will have the adventure of your lives. Where did the idea for TET come from? It’s obviously got connections to the Trans America Trail (TAT) right? Yes, Sam Correro’s TAT was our inspiration, as was the Trans Canada Adventure Trail. 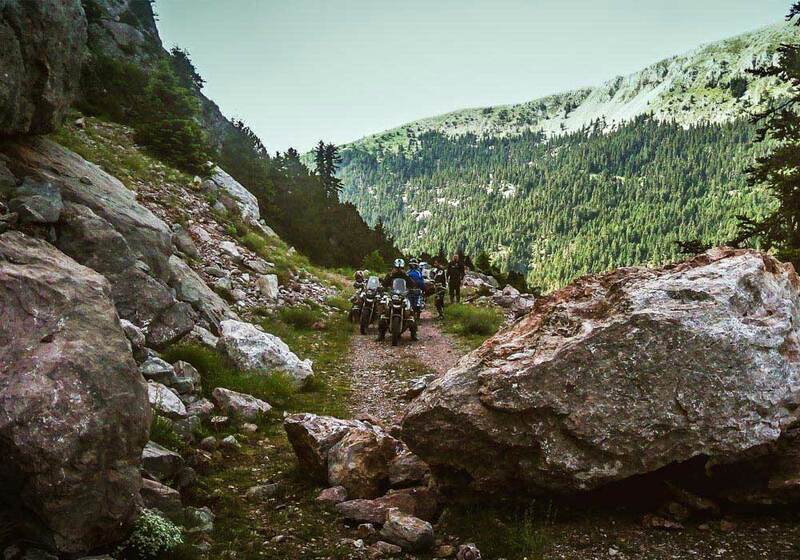 Both use GPX’s to allow adventurous self-sufficient riders to step off the beaten track and experience the true heart of their countries. 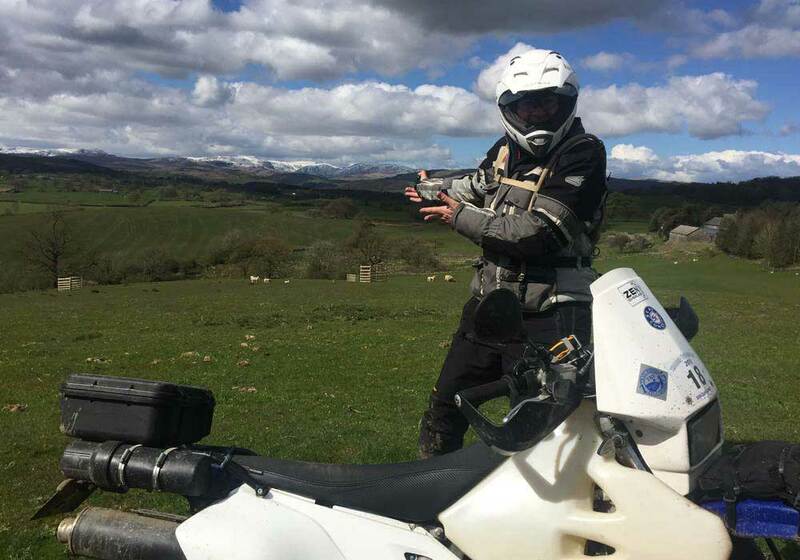 I’ve not been riding in the States but have been lucky enough to explore the trails of Europe from Hungary to France and the Netherlands to Spain as well as spending time exploring remote Southern and Eastern Africa by motorcycle and dipping into amateur Rallye Raid in North Africa. 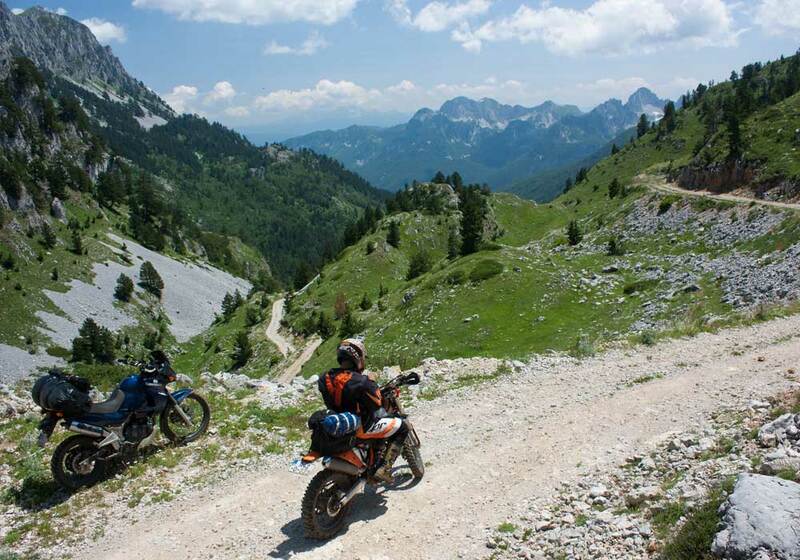 Through these forays, I’ve met like minded riders from across Europe – people passionate about their pastime, the trails they use and their spectacular home countries. 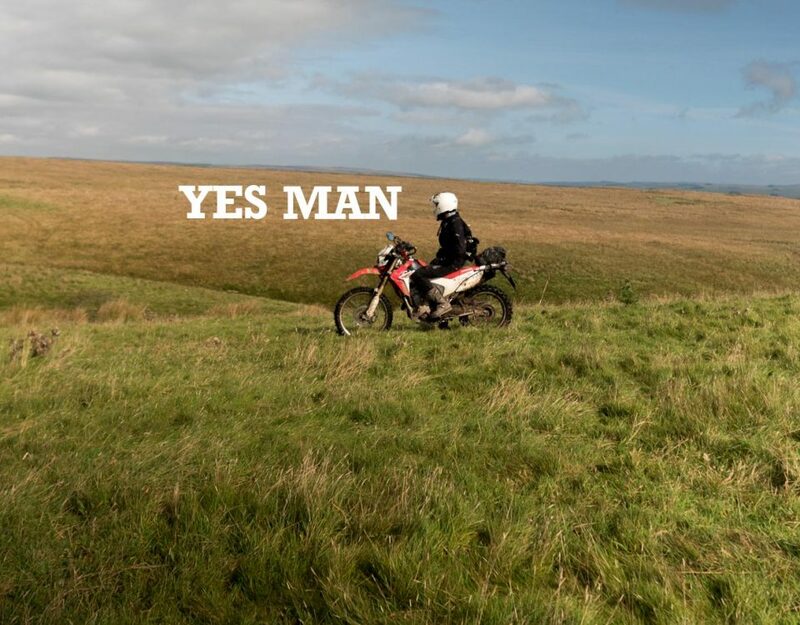 Over beers, campfires and interweb conversations, the idea developed to share these special places and experiences with each other - initially just as a bunch of mates but then later on a grander scale as a Trans Euro Trail linking each county’s trails to the next to create something unique. Europe has everything our friends from over the pond have but we also have hundreds, thousands of years of visible human history all around us – form stone circles to wartime bunkers. It’s fun to think that that local lane you love and know so well may be linked by the tyres of a trail bike, your trail bike, with one passing through an olive grove in the Greek Peloponnese or a rickety wooden bridge in the Finnish forest. I imagine many people have thought about this kind of project but up till now no one has managed to pull it off. How did you do it? It’s taken a considerable amount of time and many, many e-mails, messages and telephone conversations (my wife deserves a medal for her patience!) But it seemed to strike a chord early on and once people got wind of the project, offers of help from across the continent came in. To me that’s been the most exciting thing – watching the banter, passion and ideas bouncing around – just the same thing that happens on a ride or at a TRF meeting but this time across a whole continent. The power of the internet, an idea and a shared goal! We very soon realised that it was too big a project for one person to manage so for each country a “Linesman” volunteered – someone with the knowledge, networks, passion, IT and communication skills to coordinate their part of the TET. 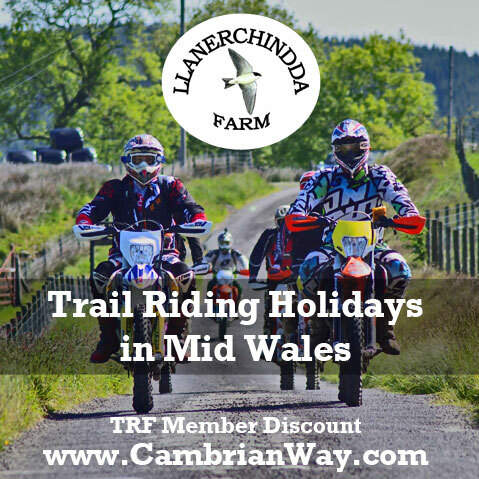 Not for any financial reward, just for the warm fuzzy feeling of doing something for the greater trail riding community and being in at the inception of something rather exciting. It’s obvious that community is a big part of the TET. Is there a commercial element? Everything is available for free, but you also have a commercial partner? The idea of the TET was to create something for bikers, by bikers. Something borne out of a shared obsession. People gave freely of their time, routes and experience in the knowledge that there was no commercial driver – the TET was to be free to those that wanted to use it. No impediment would be put in place of people wanting an adventure except their own self-imposed limitations. We know the liberating nature of our pastime, we want more people to experience it. By making it free, we also knew that there would then be nothing stopping people returning to the TET website to download the latest most up to date routes, routes which will be constantly updated to reflect the changing nature of the trails whether through closures, construction, legal changes or identification of the fragility of a particular area. However altruism doesn’t pay the bills! 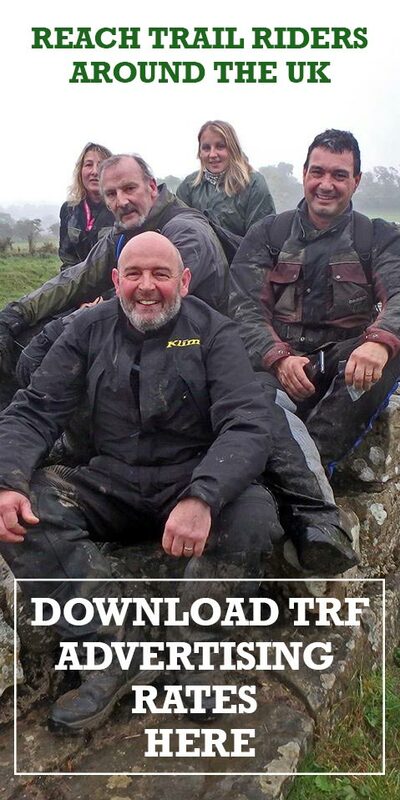 Like any self-respecting bunch of bikers engaging in a new plan, we approached Adventure Spec to blag some T-shirts. The response was more than we could ever have hoped for. 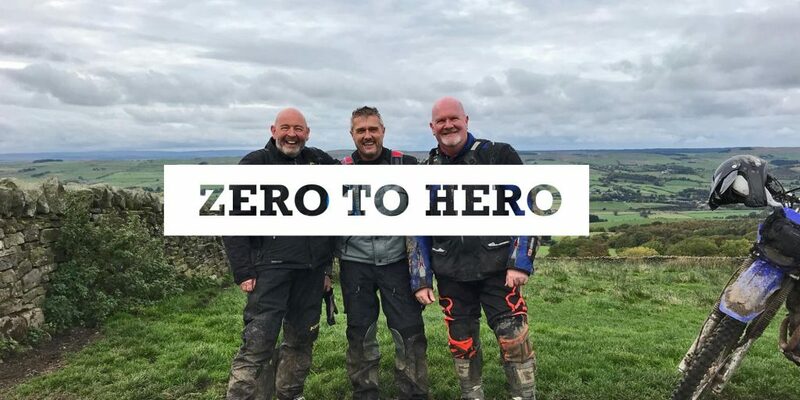 Dave and Chris are like minded souls with decades of light weight motorcycle adventuring behind them and, in a fit of generosity, offered to support the project with server space, IT and creative talent and buckets and buckets of enthusiasm. They have enabled us to turn pipe dream to reality. What’s more they have named their new ADV Spec adventure jacket after the Linesman! Job done we’re famous ;-) . 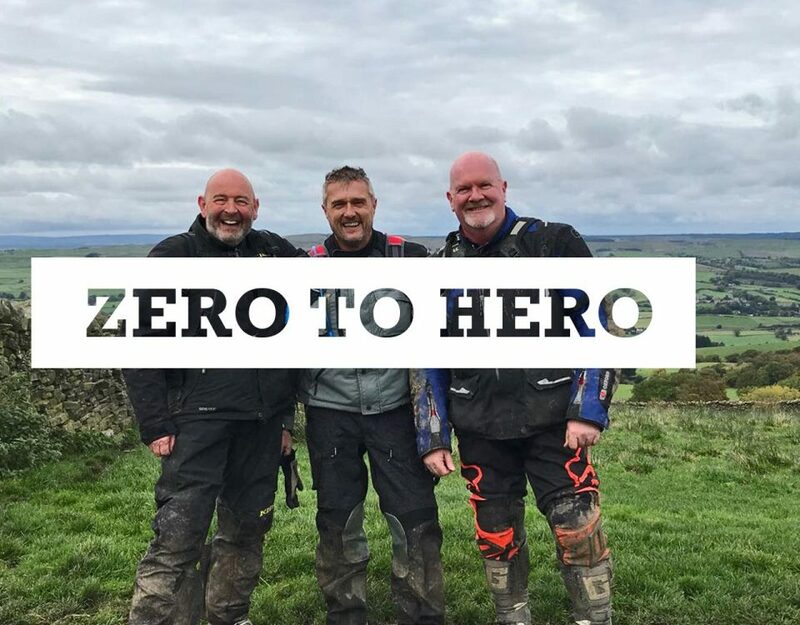 Linesmen are to be given the first examples as they hit the street – so along with a warm fuzzy feeling, there’s protection from the trails and elements! Guys, we are indebted. As we know, the status of green roads in the UK is constantly changing. How do you manage to make sure that everything on the TET is legal? That’s the thing that’s really important to all of us involved in the TET. Keeping the TET current and legal is critical. We are all only too aware that there are forces out there eager to further limit our freedom and will leap on any infringement with glee. 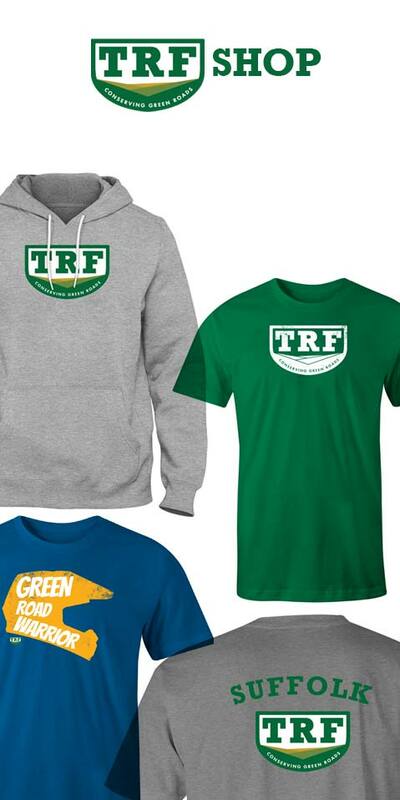 The TRF have been a huge support in the UK. They are the experts, the curators of our green road heritage. In the UK Regional Rights of Road reps have guided us away from closed or TRO’d trails and seasonal TROs. We can’t watch every metre of 34,000km but our users can. The whole idea of the TET is that it’s never finished, it’s constantly evolving. 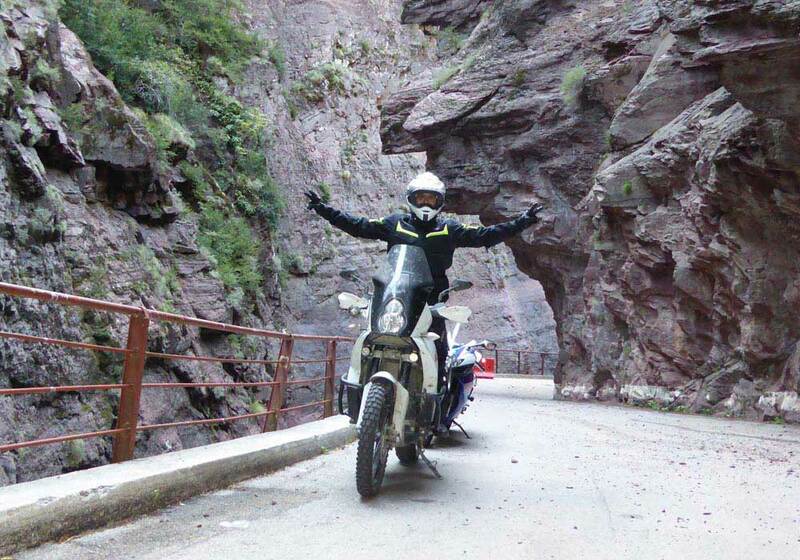 The GPX track isn’t gospel, what lies in front of one’s front wheel is. Riders using the TET will remain aware of their surroundings and feed back issues, changes and closures through the website, allowing the Linesman to update the GPX to keep it as current as possible. It’s a living, changing beast. That said, with the best will in the world, it’ll never be 100% current and some of the route will be infrequently travelled or not ridden recently. The bottom line is that the rider on his bike has to accept full and personal responsibility for any transgressions. After all you don’t blame your 1:25,000 map. TomTom or Michelin Road Atlas for mistakes. Some people may be concerned that having a route available through the UK might increase traffic and put more pressure on the Green Road network. What would you say to that? Indeed it might increase the footfall a bit – there might be a pair of Montenegran DRZ400’s riding down your local lane in August or you might have the opportunity to stop and chat to a French rider on a green road in the Welsh mountains or share lunch with three Italian KTM Adventure riders on the Old Coach Road in the Lakes. Perhaps you can help mend a puncture, point out a cracking pub or café or even offer them a bed for the night. Perhaps a friendship will ensue and an invitation to their neck of the woods. 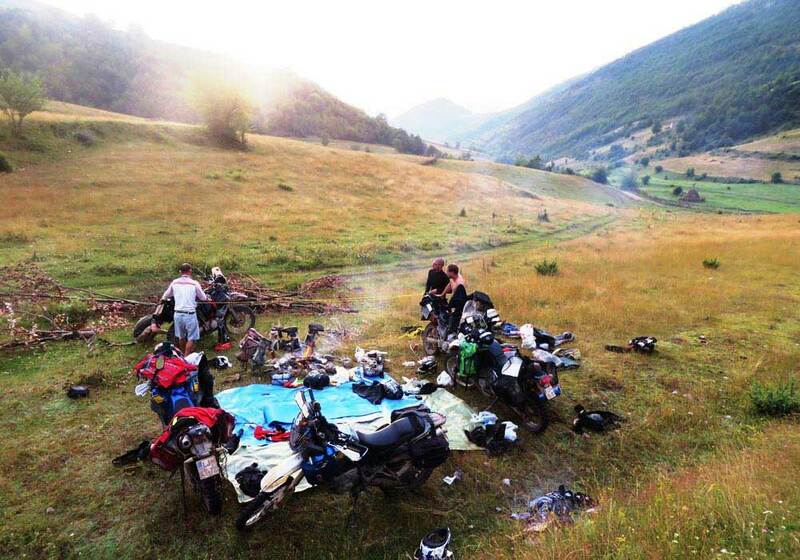 Or perhaps you will be that Yorkshireman, Welshwoman or Dorsetman edging along a trail high in the Romanian Carpathians or Spanish Pyrenees waving to local riders and stopping to kick tyres and talk bikes and beers. Green roads on the internet isn’t new. For those that can turn on a computer, the UK’s green lanes are already available on Wikiloc, Viewranger, forums or any number of other sites. But who knows whether they are accurate, legal or current? Our single wiggly line across our land will be as up to date as is possible. A TET value is to be respectful of trails, communities and environment. We support the Code of Conduct of the TRF, France’s Codever and Spain’s AMVER all of which focus on sustainable use of green roads, coexistence with other users, small group sizes and avoiding trails when they are fragile. 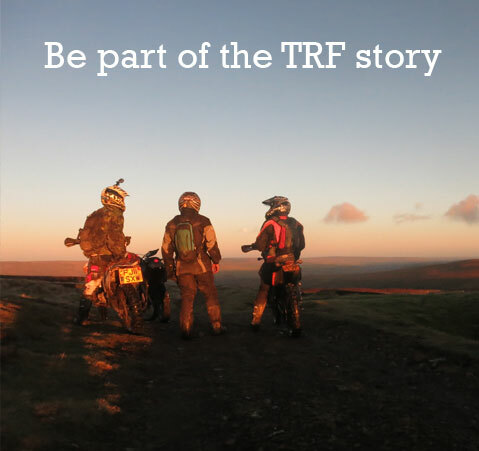 In the UK, TRF’s involvement ensures that there is local input as early as possible if issues are developing/foreseen with a particular lane and the TET is then diverted – it can be done the same day. The TET is a trail bike route, it’s not designed for 4x4s. In fact it’s too narrow in many places, too difficult in others and impossible to turn round in many. Nor is it a route for those that wish to travel on huge bikes with hard cases piled high and deck chairs and kitchen sinks strapped to the back. It’s challenging but not damaging for those well prepared, travelling light and prepared to make their own adventure. We all know that there are idiots out there and whatever you do you can’t stop them, but what we can do as responsible trail riders is show local communities and co-users of the trails that there is a majority of riders that treasure our green road heritage and respect the freedom we still have. It’s a remarkable project John, you must be very proud of what you’ve managed to achieve. I look forward to getting out there and exploring Europe!